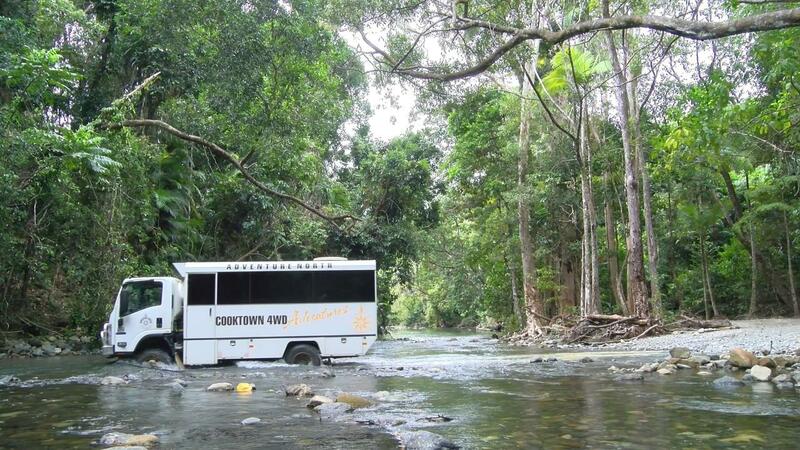 This morning you will be collected from your accommodation and travel by air-conditioned four-wheel drive (4WD) vehicle, north along the Captain Cook Highway. Your journey takes you across the Daintree River by cable ferry, then along one of Australia’s most scenic coastal drives through the World Heritage Listed Daintree Rainforest and Cape Tribulation. 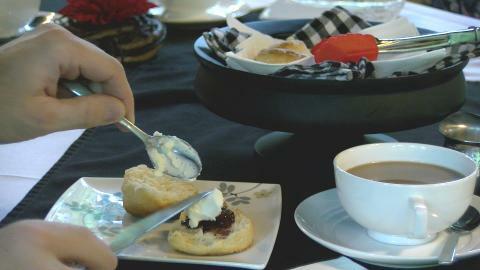 Enjoy a delightful morning tea of home made scones, tea and coffee in the rainforest. Your experienced and informative guide will add to your enjoyment with their extensive knowledge of the area. We follow the 4wd-only Bloomfield Track crossing rivers and climbing mountain ranges with spectacular views. Your next stop will be the Aboriginal community of Wujal Wujal, via the Bobby and Jacky Ball Bloomfield River Bridge, which was completed in late 2014. You will have the opportunity to visit the Bana Yirriji Art and Cultural Centre. Lunch at Blooms Cafe in Ayton, before visiting the famous Lion's Den Hotel, established in 1875 and one of Queensland’s oldest remaining bush pubs. Not far is the unique geological oddity Black Mountain, surrounded in mystery and spoken of in ancient Aboriginal legend. On arrival In Cooktown, marvel at the fabulous panoramic views from Grassy Hill of the Endeavour River, Cooktown and Coral Sea. Have your camera ready! Transfer to your accommodation for your overnight stay at the 4* Sovereign Resort with the afternoon and evening at your leisure. 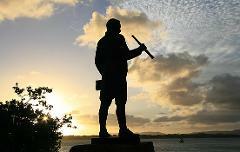 Free day for you to explore historic Cooktown. Take this time to visit the World Class James Cook Museum housed in a stunning nineteenth century former convent, the James Cook Museum in Cooktown is one of Queensland’s best museums, showcasing the fascinating history of this remarkable town. This afternoon (4.30pm) you will be transferred to the Cooktown airport for your 45 minute flight with Hinterland Aviation. 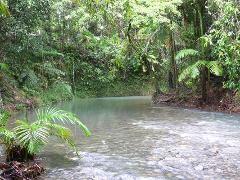 Enjoy the spectacular views of the Daintree coastline between rainforest and reef. Arrive Cairns General Aviation Airport at 6.30pm. 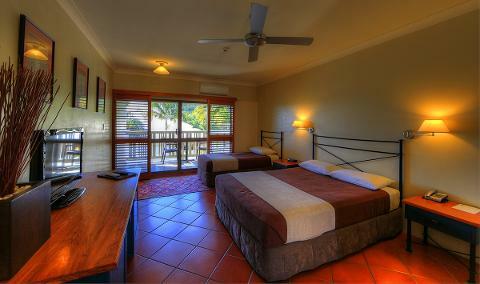 Own arrangements on arrival to your accommodation. Taxi's are made available on your arrival. Hinterland Aviation is a commercial flight and check in is required 45 minutes prior to departure. 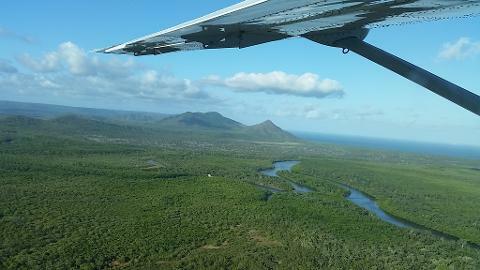 Flight departs Cooktown at 5.45pm -Arrive Cairns 6.30pm @ General Aviation Terminal, Hangar 7, Tom McDonald Drive, Cairns.